Whether you're embarking on a brief jaunt or a marathon adventure, you should know a bit about Estreito da Calheta before setting off. It's located 9 miles (14 kilometers) from Ribeira Brava and 11 miles (18 kilometers) away from Sao Vicente. This area of Madeira Island is home to nearly 2,000 people. Purchase your Estreito da Calheta accommodation and flight package via Travelocity, and watch how much you save. With no less than 400 airlines and 665,000 accommodations, you've got a world of options. Our Customer 1st Guarantee gives you the security of 24/7 personal assistance on everything from airfares and accommodations to activities and rental cars. Have you seen a better deal somewhere else? We'll match the price and give you back the difference^. If you want to cancel or change your travel plans for any reason, there won't be a nasty fee from us. And so long as you get in quick, many accommodations won't charge you a fee either^. 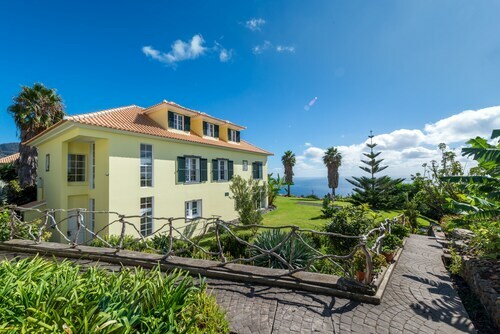 With a nice collection of 13 properties listed on Travelocity, you can afford to be choosy in Estreito da Calheta. But remember — the sooner you lock in a place to stay, the sooner you can focus on organizing those amazing adventures. We're happy to recommend the Summerplace and Savoy Saccharum Resort & Spa. 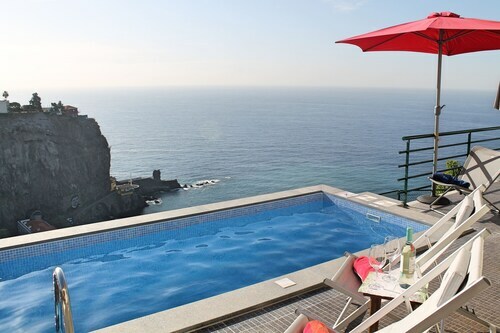 These Estreito da Calheta properties should satisfy most island vacationers. Where do you fly into for Estreito da Calheta? Touching down at Cristiano Ronaldo Airport (FNC)? Once you hop off the aircraft, downtown Estreito da Calheta is approximately 25 miles (40 kilometers) away. Hail down a taxi and enjoy the ride — your getaway has only just begun! Can I rent a car in Estreito da Calheta? 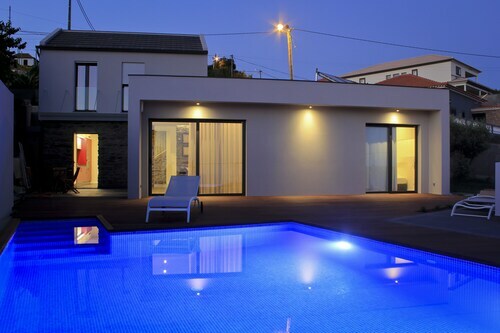 Plane tickets to Estreito da Calheta? Check. The ultimate road trip playlist? Check. The only thing left is to select a rental car via Travelocity. You'll be driving down the highway in no time at all! Many jetsetters collect a vehicle directly from Cristiano Ronaldo Airport. Europcar and Alamo Rent A Car are just a short stroll from baggage claim. If you love to shop around, you could also have a look at Enterprise and Hertz. A day by the sea is a great way to keep the children out of trouble. Take a couple of buckets to Ponta Do Sol Beach and see who can collect the most exotic shells. Need some more options? Feel the sun on your skin as you stroll along the water's edge at Beachside Square. And there's more. If you're up for a little spiritual enlightenment on your travels, stop by Eglise de Faja da Ovelha. You never know, you may even find the answers to some of life's biggest questions! While you're in Estreito da Calheta, why not go to some nearby destinations? Funchal, just 17 miles (27 kilometers) away, gives access to the Botanical Garden, a much-loved attraction. The Monte Palace Gardens is another worthy option. If you have the time, try to see both of them. 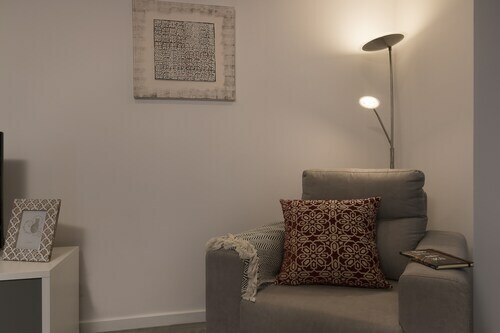 Situated in a rural location, this country house is within 9 mi (15 km) of Paul do Mar Beach, Eglise de Faja da Ovelha, and Church of Our Lady of Light. Beachside Square and Ponta Do Sol Beach are also within 9 mi (15 km). Situated in a rural location, this hotel is within 9 mi (15 km) of Paul do Mar Beach, Church of Our Lady of Light, and Beachside Square. Ponta Do Sol Beach and Eglise de Faja da Ovelha are also within 9 mi (15 km). 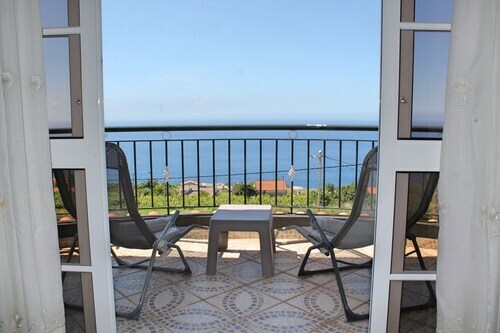 Situated in Calheta, this vacation home is within 9 mi (15 km) of Paul do Mar Beach, Eglise de Faja da Ovelha, and Church of Our Lady of Light. Beachside Square and Ponta Do Sol Beach are also within 9 mi (15 km). Situated in Calheta, this villa is within 9 mi (15 km) of Paul do Mar Beach, Eglise de Faja da Ovelha, and Church of Our Lady of Light. Beachside Square and Ponta Do Sol Beach are also within 9 mi (15 km). 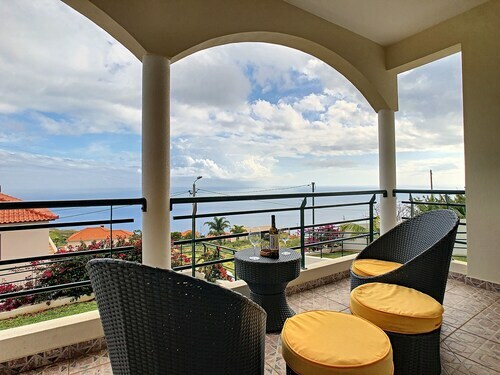 Situated in Calheta, this apartment building is within 9 mi (15 km) of Paul do Mar Beach, Eglise de Faja da Ovelha, and Church of Our Lady of Light. Beachside Square and Ponta Do Sol Beach are also within 9 mi (15 km). 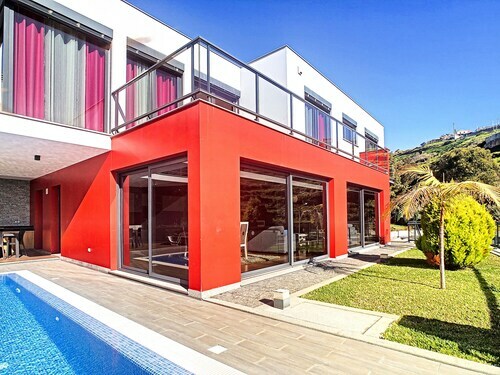 Situated in Calheta, this vacation home is within 9 mi (15 km) of Paul do Mar Beach, Eglise de Faja da Ovelha, and Beachside Square. Ponta Do Sol Beach and Church of Our Lady of Light are also within 9 mi (15 km). Situated in Calheta, this cottage is within 9 mi (15 km) of Paul do Mar Beach, Eglise de Faja da Ovelha, and Church of Our Lady of Light. Beachside Square and Ponta Do Sol Beach are also within 9 mi (15 km).